On the day of our Walkabout, the forecast was for rain and fog. 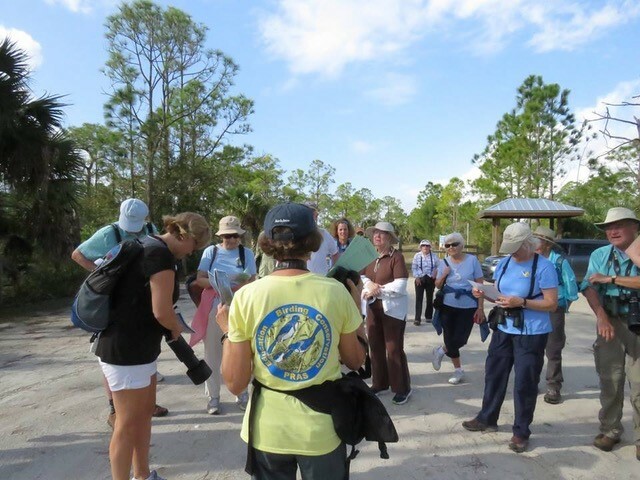 Despite that report, 19 people showed up for our Charlotte Flatwoods walk and we were all glad that we did. Right in the parking area there were White Ibis, Great Egrets, and Woodstorks posing in the trees. Our group had disturbed their feeding in the ditches along the drive. 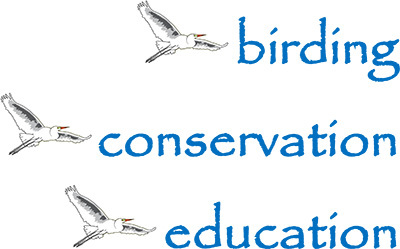 As we headed on our way, we saw a Night heron, Green and Blue Herons, and Great Blues that we had startled. Downy and Red-bellied woodpeckers were feeding and also a Flicker. Catbirds, Eastern Phoebes, and Pine and Yellow-Rumped Warblers were along the roadway and we hadn’t even reached the marsh yet. By then the sun was peeking out and the birds that frequent the marsh were feeding: Limpkin, Anhinga, Cormorants, Pied-Billed Grebes, and a Bald Eagle watched us from a pine tree. When we passed by the depressional marsh we saw a Wilson’s Snipe and Yellowlegs to add to the list. We saw a total of more than 30 birds. 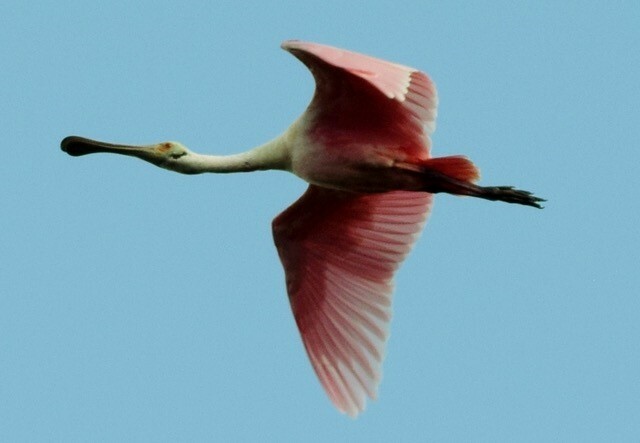 Most everyone would agree that the Roseate Spoonbill that was feeding, then flew above the group, was a nice surprise. It never did rain on us and that was a nice surprise too.